Backyard barbecues, playing catch with your child, relaxing by the pool… These summer activities are so close to perfect, but it only takes one tiny little intruder to completely ruin all the fun. 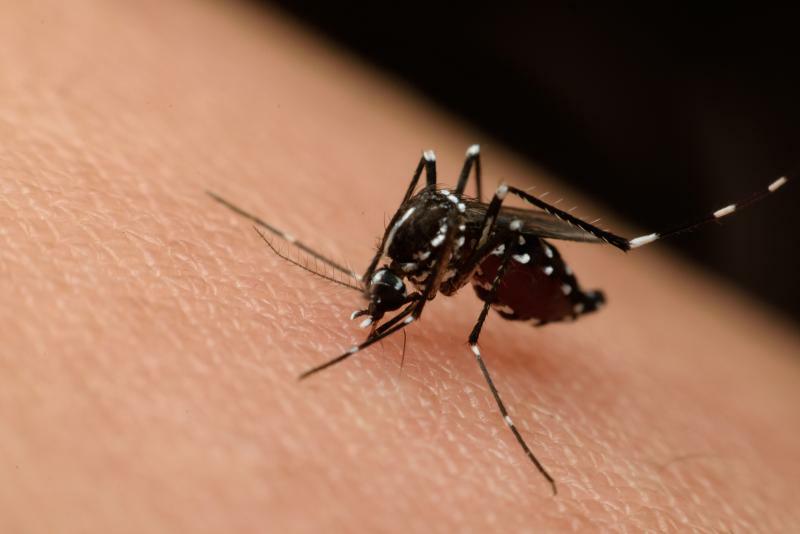 Mosquitoes are hard to spot, but their bite is impossible to ignore. Keep them from ruining your outdoor fun this summer by applying these effective backyard mosquito control measures. Effective mosquito control begins with ensuring mosquitoes can’t multiply on your property. And since mosquitoes need standing water to breed, you can increase your chances of having a mosquito-free backyard by eliminating all standing water from your property. Fix spots in your lawn that tend to collect water, remove toys and debris from your property, check your downspouts, empty the kid pools, and drain any other water you find. If you have a pool, don’t worry. The chlorine deters mosquitoes. You love the chirps and sights of the colorful birds that take advantage of your birdbath. But remember — a birdbath is standing water. To keep the enjoyment of bird visitors without laying out the welcome mat for mosquitoes, change the birdbath water every five days to interrupt the 7-to-10-day breeding cycle of mosquitoes. Some mosquitoes are active during the day and others do their hunting at night. Dusk then, which is the between time, is a time when you’ll encounter more of most species. This is the best time to stay indoors, or if you go outside, to avoid marshy areas and to wear mosquito repellent. Some plants act as natural deterrents to mosquitoes. The scent of marigolds deters mosquitoes and citronella plants help to mask the smells that attract mosquitoes. Garlic and rosemary plants also act as mosquito deterrents (and they improve your recipes!). Mint is another mosquito deterrent. You can also add rosemary to your barbecue as you grill your dinner so mosquitoes will stay away before the party even begins. Give yourself a strong layer of protection by applying repellent when you go outside. This won’t keep mosquitoes out of your yard, but it will keep them from getting close to you. Surprisingly, mosquitoes are not too strong when in the air. They’re actually pretty weak flyers. This is good information to have because if you can create a breeze, you’ll have a better chance at keeping mosquitoes away. Set up a few outdoor fans when you plan to be outside, and mosquitoes will have a harder time getting to you. No, mosquitoes don’t care about fashion. But they do care about getting up close and personal with your skin. If you’re going to be spending time outdoors, especially during dusk or near marshy areas, do what you can to cover up your skin. 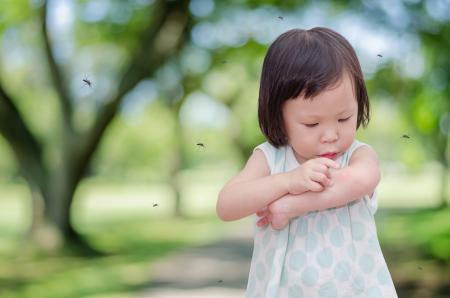 Long pants, long-sleeved shirts, and closed-toe shoes will give the mosquito little chance of getting a bite out of your skin. The most effective way to rid your yard of mosquitoes is to hire an exterminator to handle the mosquito control of your property. A good exterminator will look for the reasons mosquitoes are coming to your yard and eliminate those trouble areas. They’ll set up a perimeter with mosquito spray around your yard that will prevent the neighbors’ mosquitoes from hopping the fence to your property. And they’ll use the right mosquito spray for your yard to keep the mosquitoes from arriving and breeding. Don’t let summer fun be ruined by nasty mosquitoes with a bloody agenda. Use the above measures to keep those blood-sucking insects away from your home and property.